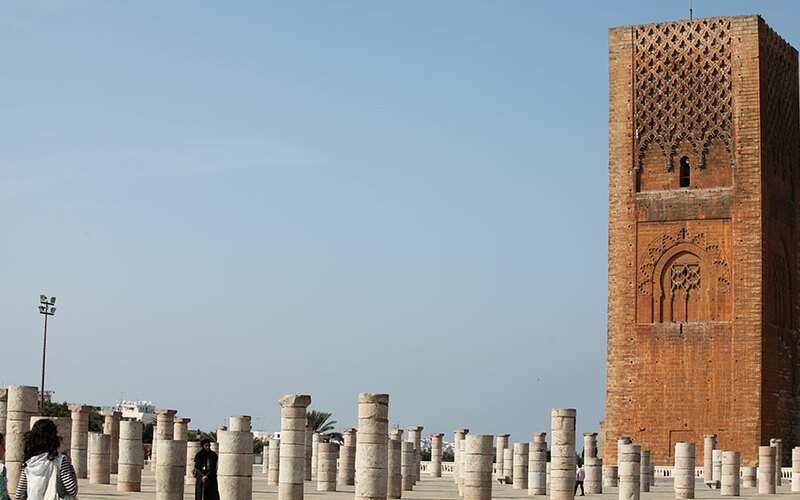 Hassan Minaret is an unfinished architectural treasure dating back to the 12th Century in Rabat, Morocco. The construction began in 1195, during the reign of the ambitious Almohad leader, Yacoub el- Mansour who wanted it to be one of the largest mosque in the Islamic world. The vast marble floor, the semi-constructed columns and the surviving walls indicate the huge dimensions of an unfinished mosque that was intended to span over an area of 183 on 128 metres. This colossal mosque was not compatible with the size of Rabat, then a small town, so it was left incomplete.